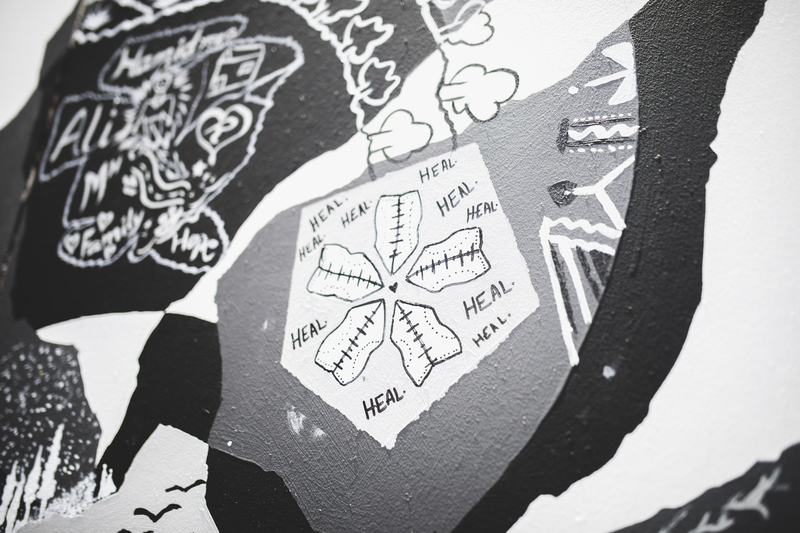 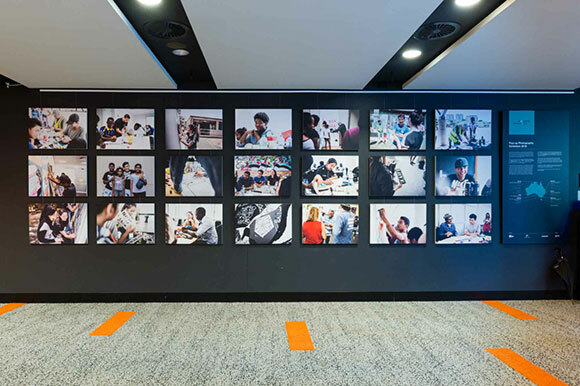 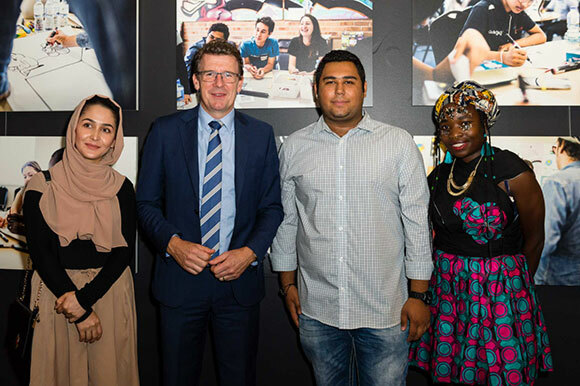 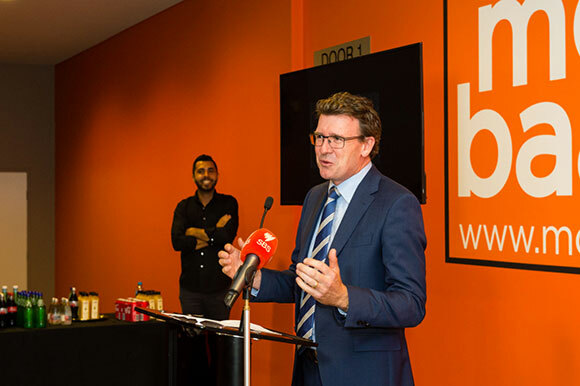 Returning in 2018 for its second year, the Harmony Art Collective – a collaboration between Special Broadcasting Service (SBS), the Australian Government and aMBUSH Gallery – was created as part of Harmony Day on 21 March, when cultural diversity is celebrated. 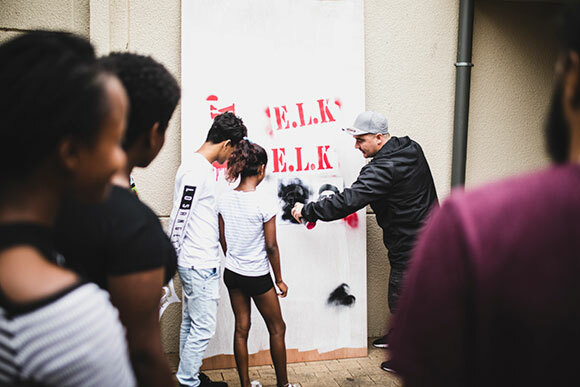 Four Australian urban artists – Luke Cornish (aka E.L.K. 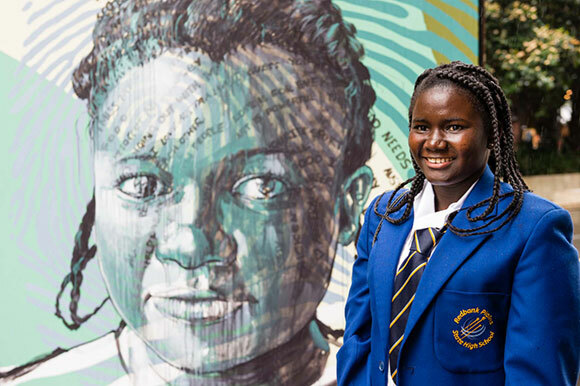 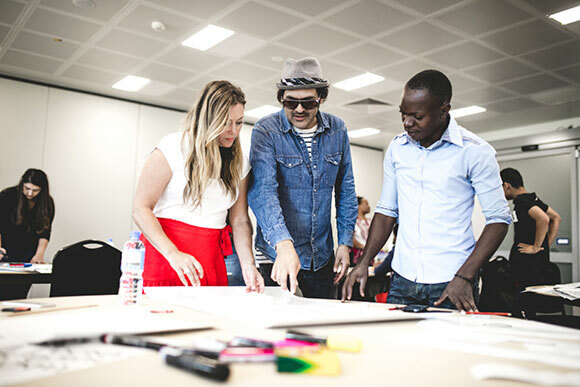 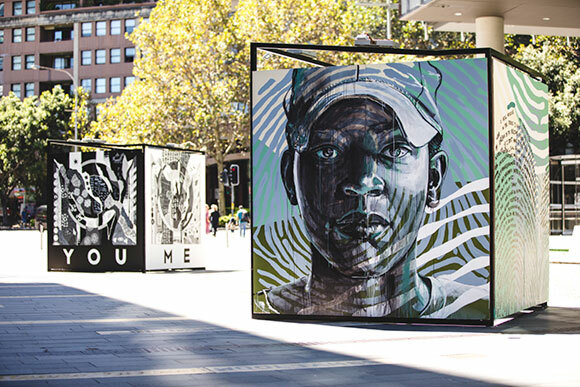 ), Georgia Hill, Jeremyville and Fintan Magee – travelled to six states across Australia where they led art workshops for recently arrived young migrants, disadvantaged youth, and Aboriginal and Torres Strait Islander youth. 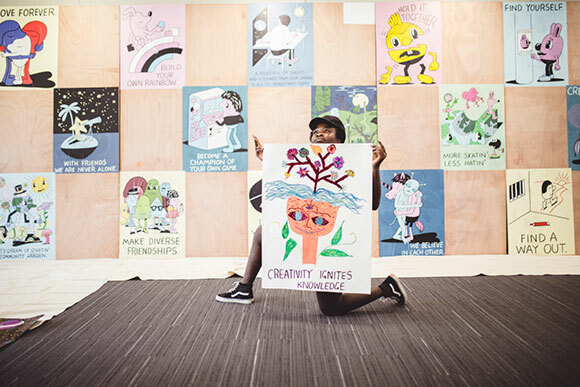 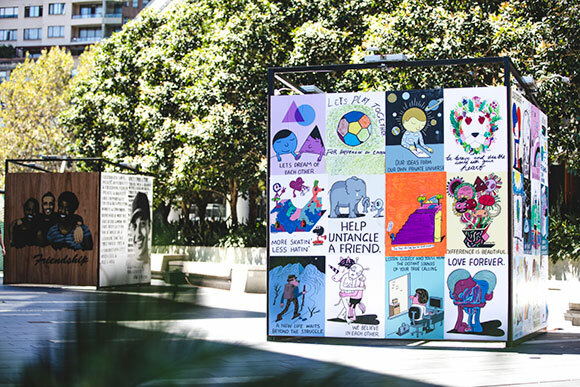 The artists and participants created 16 striking large-scale artworks that were exhibited at OPEN at Darling Quarter from 13 March–28 April. 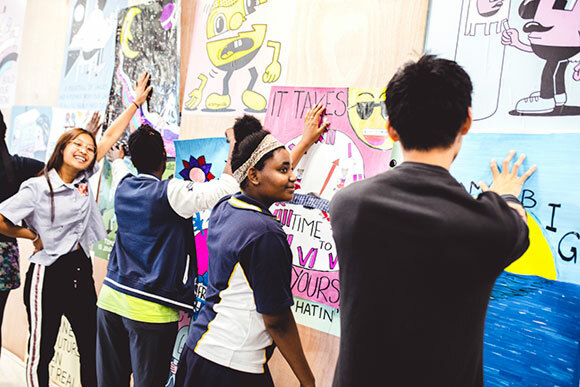 The works reflected the cultural, political and social perspectives unique to their experiences. 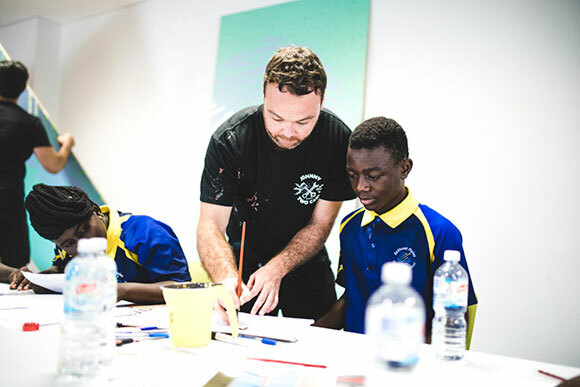 As part of the project, photographer and videographer Billy Zammit travelled with the group and documented the entire journey. 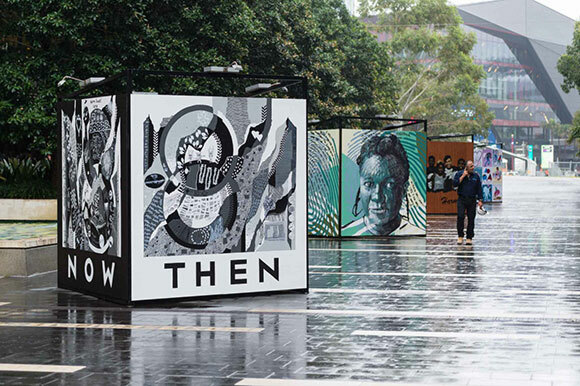 His behind the scenes photographic exhibition was displayed in the Monkey Baa Theatre foyer, and four short documentaries about the artists and participants were broadcast on SBS VICELAND and SBS Learn. 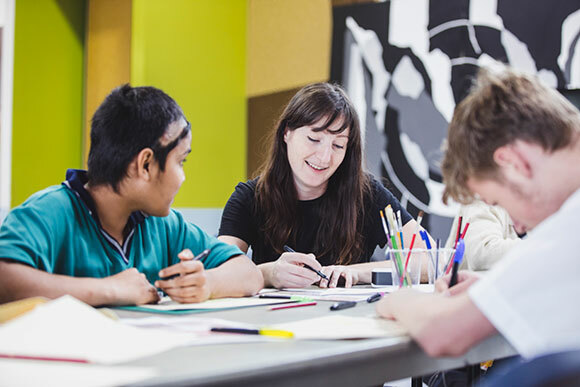 To date, the project has commissioned 8 Australian artists who conducted workshops in 14 different locations nationwide and engaged with over 700 young participants to produce 32 important works of art.